The Hyperloop was proposed by Elon Musk back in 2013. The concept for this high-speed transportation system consists of a passenger pod inside reduced-pressure tubes. This low cost, efficient method of transportation could reportedly deliver passengers from Los Angeles to San Francisco in a short 35 minutes. Musk presented the concept, but also made it clear that, despite being a badass, he doesn’t have time to develop the Hyperloop. His hands are more than full with Tesla Motors and SpaceX. But the Hyperloop concept was received with great interest, and Musk encouraged others to take the idea and make it happen. 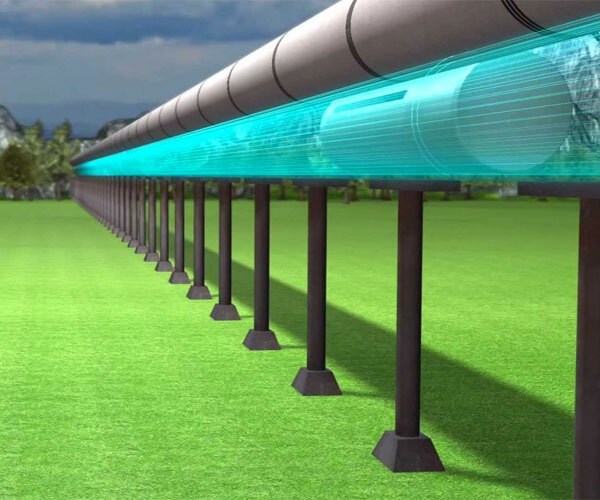 Since 2013, several companies have moved forward with developing a Hyperloop transportation system. And SpaceX wants to lend a hand. To help “accelerate development of a functional Hyperloop prototype,” the company just announced its SpaceX Hyperloop Pod Competition. SpaceX will reportedly construct a one-mile test track in Hawthorne, California next to SpaceX headquarters where participating teams will test pods during a competition weekend. In true Elon Musk fashion, the valuable information learned during these tests will be open-sourced. This competition is tentatively scheduled for a weekend in June 2016. For more information, visit spacex.com/hyperloop. Been waiting for someone to take the concept and run, especially for those of us who hate planes. Agreed. It’s such a fantastic concept. Exciting to see things moving forward.